Bigger than Vermont, home to America’s tallest peak Denali (Mt. McKinley), dotted with 1.3 million acres of glaciers, the Denali National Park is the wilderness trip to beat it all. Glimpses of grizzlies, moose crossings and unbelievably vibrant wildflowers are run of the mill stuff in these parts. 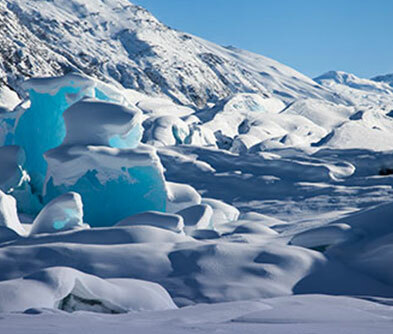 To crank up the surprise factor, hop aboard a helicopter and head out for the Yanert ice fields. 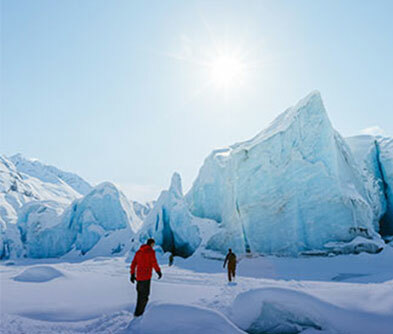 The trip takes you past towering peaks and enormous glacier carved valleys. Enjoy the geological wonders of polychrome mountains and turquoise lakes created by receding glaciers, glimpses of the Susitna & Nenana glaciers…and all this before you even land. Set foot on the Yanert glacier at the foot of Mt. Deborah. 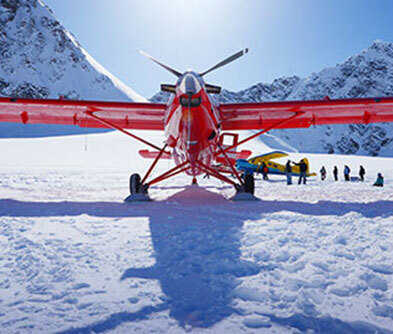 Most pilots who fly out are also knowledgeable guides, who take you to the best moraines, icefalls and blue glacial pools. Along with pics, don’t forget to taste the pure melt water.